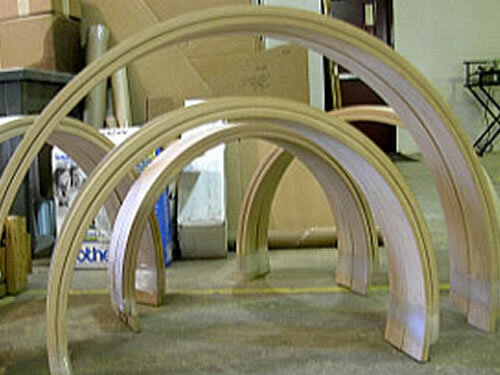 Arched & Curved Millwork - Services - Wood Components offers quality curved and arched moldings, lineal trim, and specialty millwork for commercial contractors and home builders, plus wood and plastic OEM parts and components for manufacturers of machinery equipment. 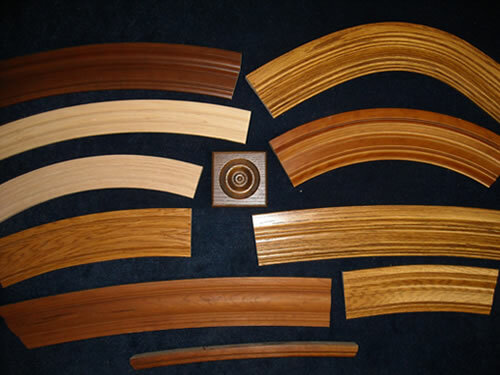 Wood Components offers some of the finest custom arched and curved millwork pieces in the Midwest using high quality equipment to produce half-circles, quarter-circles, segments, ellipticals, ovals, and full circles in casings, back bands, and extension jambs plus curved crown and base. No longer is the customer restricted to the limited choices of the window manufacturer. A wide assortment of stock and custom profiles available to match or complement casing selections throughout the house or commercial property. No longer is the customer restricted to the limited choices of the window manufacturer. 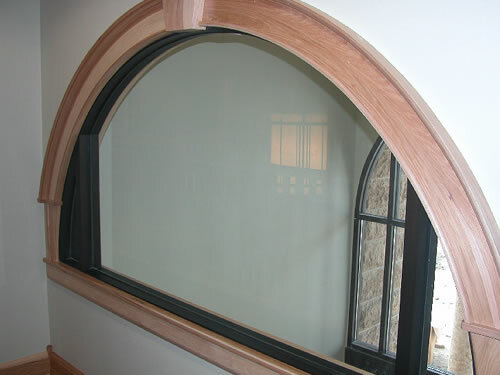 A lamination process that carefully maintains grain integrity throughout the entire arch. Unlike segmented trims, the finished appearance is void of mismatched colors and grains. Red oak, in particular, resembles steam-bent furniture as the glue lines are virtually invisible. An extensive library of window manufacturers' architectural details in order to skillfully match casings and extension jambs with the proper radius. The ability to produce ellipticals and specialty windows trim according to your template. A help guide is available for properly preparing templates. All arch products include additional length for proper mitering of the straight sides. Unusual requirements can be quoted to suit individual preferences. 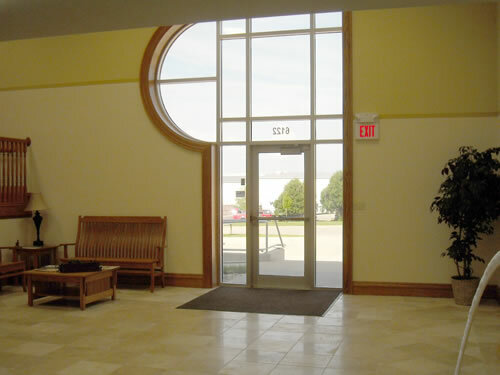 Our primary market is the North Central region, but arch millwork has been shipped throughout the United States. Lead times are exceptional with typical half-circle and segment casings and extension jambs in two weeks and most others within three weeks. Allow an additional week if custom knives are required or for curved crown and base.